Following a strategic masterplan, the practice has completed the first new visible building on the estate since the Château and the existing cellars were completed two hundred years ago. 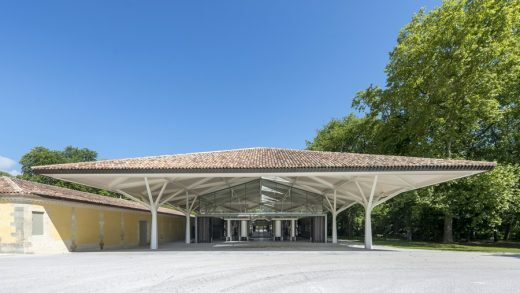 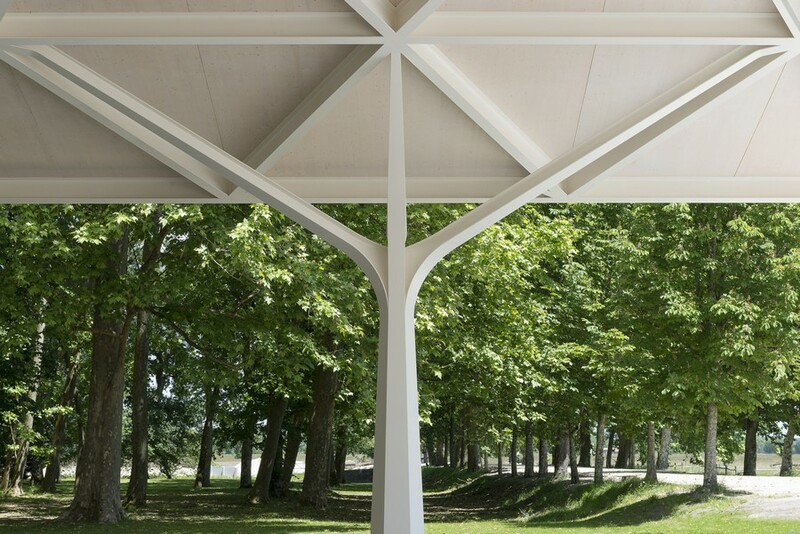 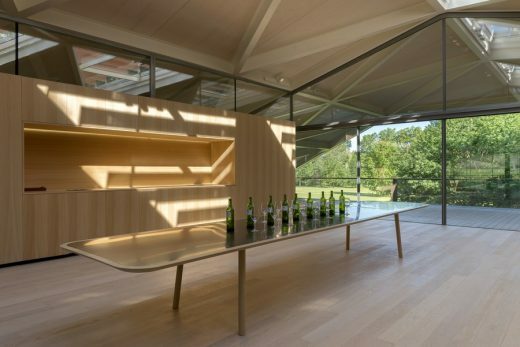 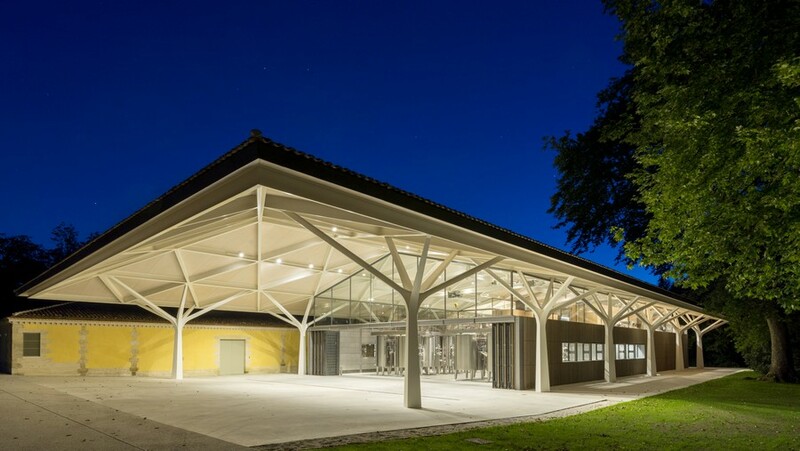 In addition to a large new winery in Château Margaux, the Nouveau Chai, the project includes a new Vinothèque, and the refurbishment of existing buildings and the historic Orangery – together, these provide state of the art facilities to support this leading wine producer in its continued quest for excellence. 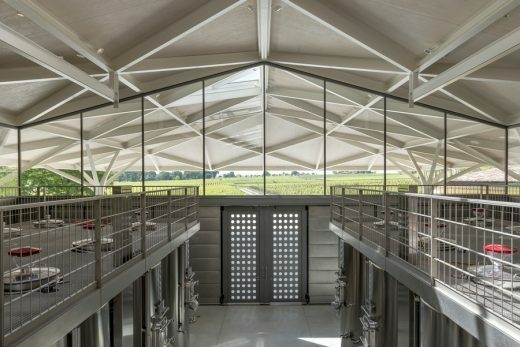 The Nouveau Chai is a new building for the production of both red and white wine, which extends from the eastern wing of the early nineteenth century complex, balancing the overall composition. 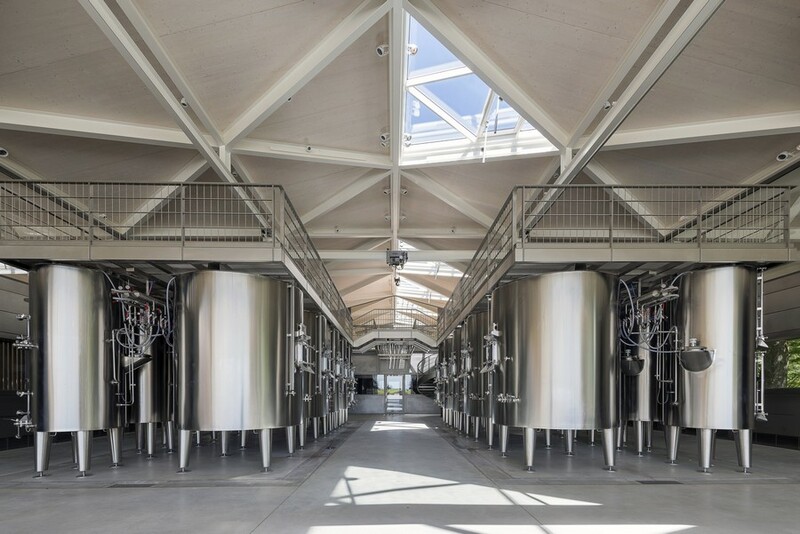 Its highly flexible, open enclosure is shaped by the different winemaking processes and includes a new research and development centre. 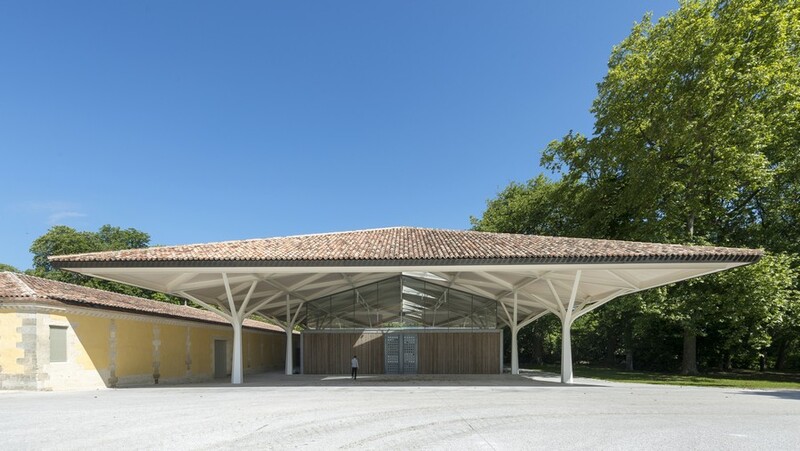 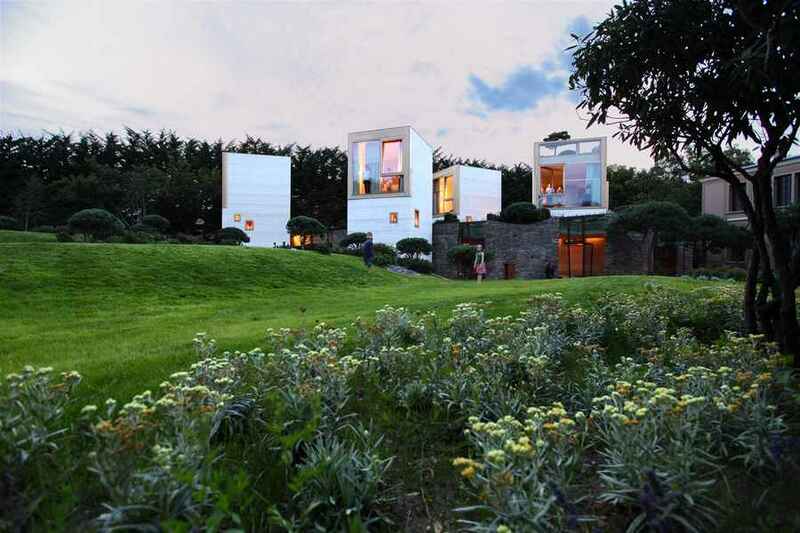 In its simplicity, the architecture reinterprets the region’s vernacular of tiled roofs and harmonises with the estate’s existing industrial buildings – the new building has a pitched roof at the same level, supported by tree-shaped load bearing columns and punctuated by light wells. 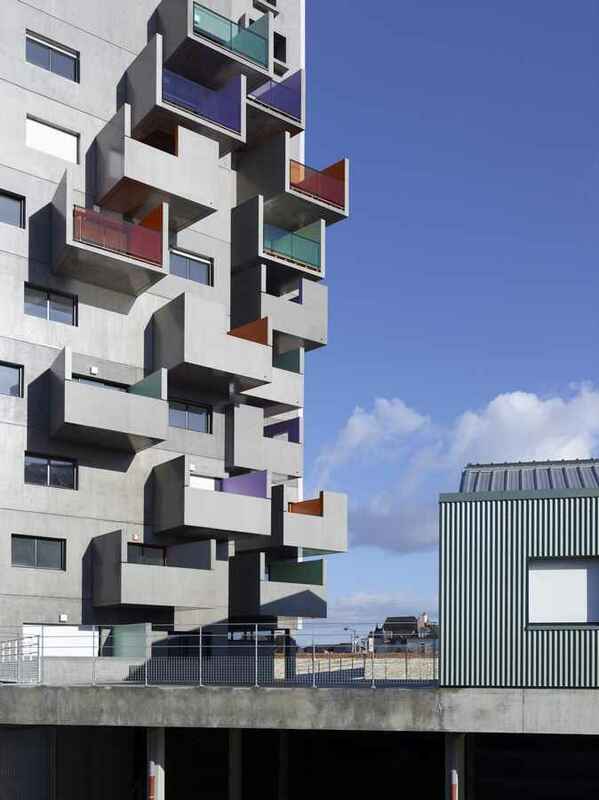 The innovative structural solution was the result of teamwork between engineers and architects within the practice. 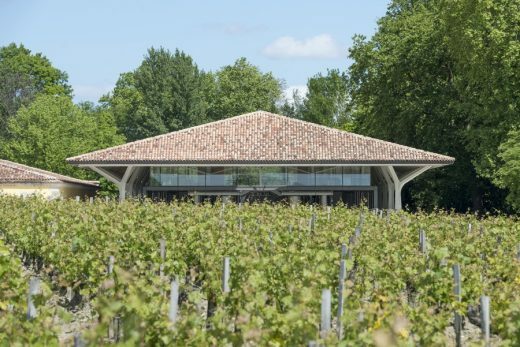 Buried beneath the vineyard to make the minimum intervention in the landscape is a new 70-metre-long Vinothèque. 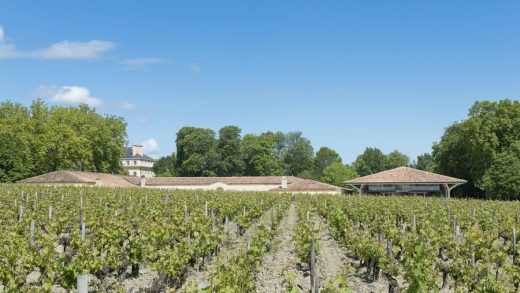 Located away from the flooding area, the new facility provides safe, environmentally stable underground storage at the heart of the estate for the collection of celebrated Château Margaux bottles. 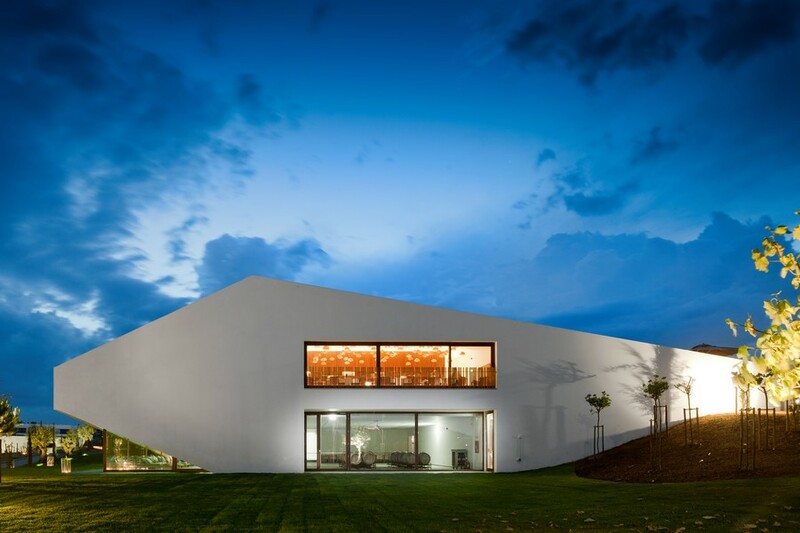 The thermal mass of the concrete structure helps to naturally regulate temperatures. 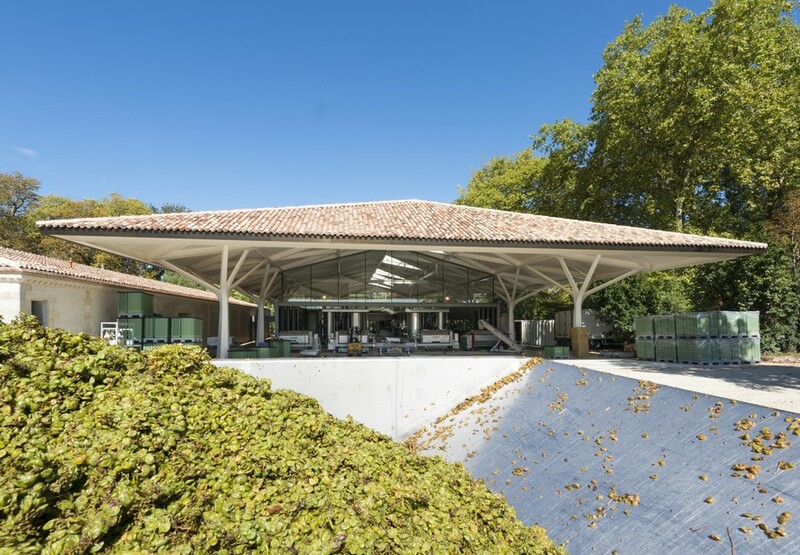 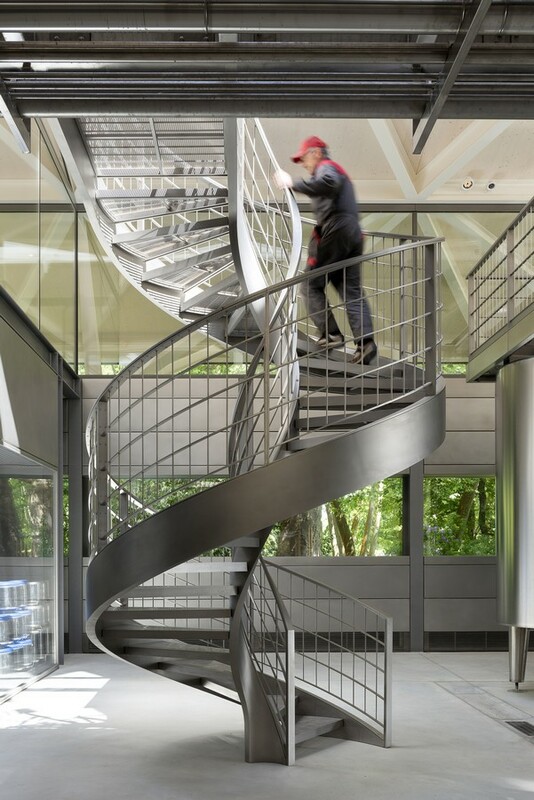 With the addition of the Nouveau Chai and Vinothèque, there was an opportunity to utilise space in the existing winery – this building is now devoted entirely to the production of red wine. 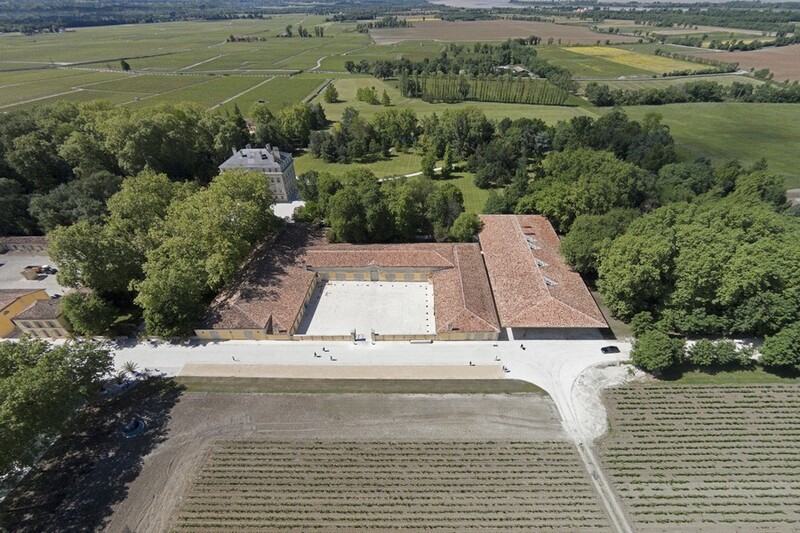 To maximise efficiency, areas such as the cooperage have been relocated, and the former vinothèque has once again become a barrel store. 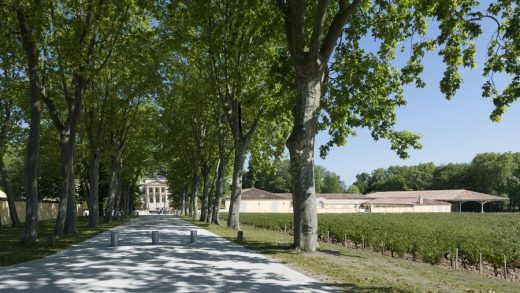 Other spaces, such as the visitor walkway to the ageing cellars, have been refurbished to enhance the experience for guests. The central courtyard has also been redesigned to accommodate the installation of temporary equipment during the harvest season. 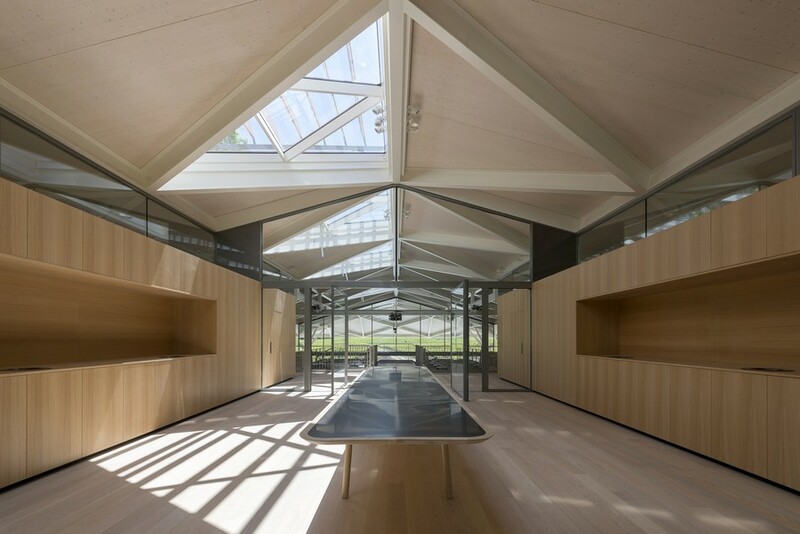 Located in the north of the site, the 640-square-metre Orangery – the oldest structure on the estate – has been completely refurbished. Over time, the historic building had been altered and its character lost. 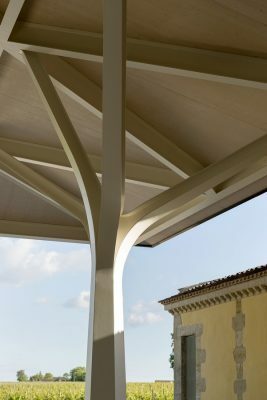 The recent additions have been removed and the fabric of the original structure has been restored. 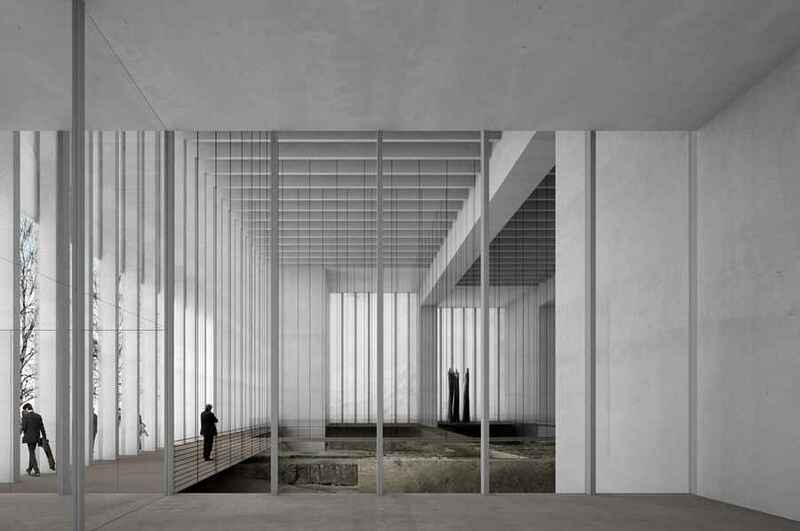 This has included revealing and opening up the large south-facing windows to create a light-filled winter garden, which provides a flexible space for events. The Orangery once again protects orange and lemon trees during the winter months, and at harvest time is used as a refectory. “As a lover of wine there is only one Château Margaux – it is a hallowed label. 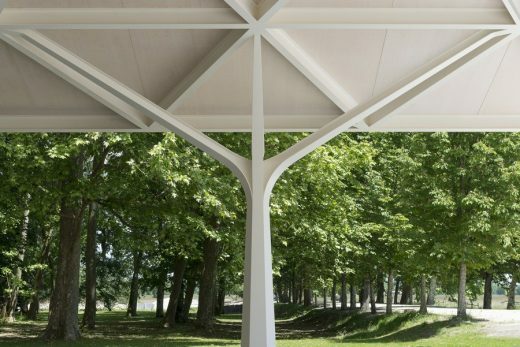 This design has been inspired by the character of the existing estate, and what Bernard Rudofsky called ‘architecture without architects’ – the vernacular architecture that embraces everything from windmills to bridges, and the wonderful heritage of the ‘big barn’. 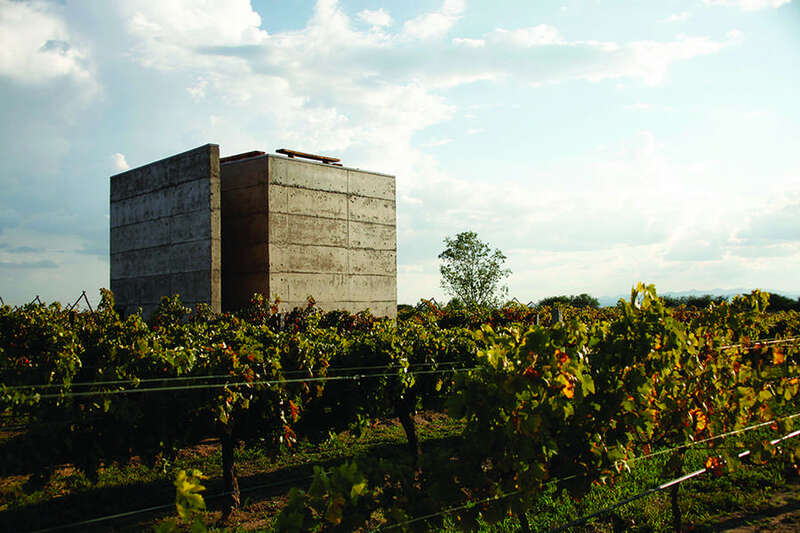 I have been fascinated by this anonymous tradition since my student days. 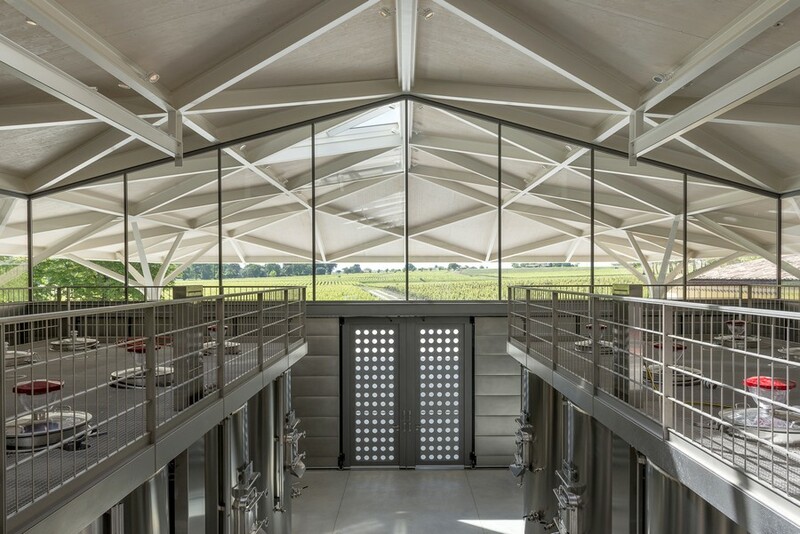 At Margaux I was inspired by a communal lunch in the open space under the great roof of one of the structures during the grape harvesting. By investigating ruins elsewhere on the site it was possible to recycle enough tiles to create another major roof in the same vernacular. 19th-century, neo-Palladian style villa, designed by Louis Combes, on a renowned wine estate.